September's Bear Club pack from Tru Bru is another bumper one, with 5 optional additional beers this month taking the pack number up to 11! There's 4 international beers this month, from 3 different countries. That means there are 7 local drops which is always good to see. With spring now well and truly set in we've got a lot of lighter styles this month. There's plenty of pale ales and IPA's this month as well as the sour, Mikkeller's Show Me Cuvee, that I was hoping we'd see this month. The Tripel from the guys at Boatrocker is another one I'm really looking forward to. 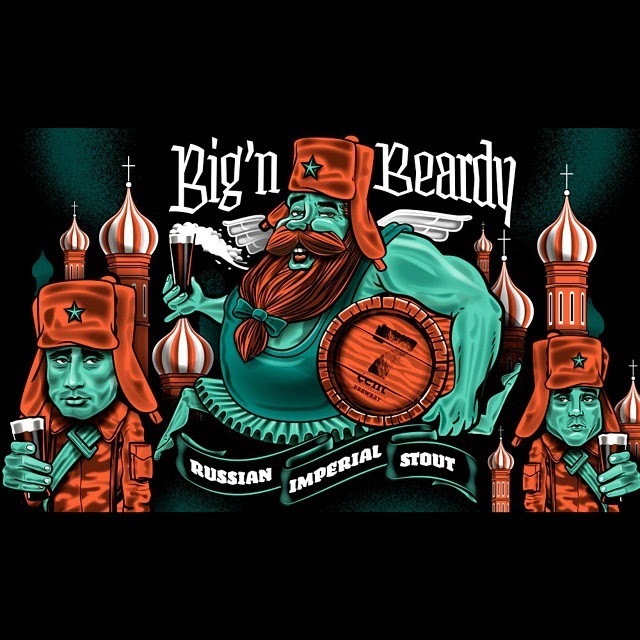 The amazing artwork you see below is from 7 Cent's Big'n Beardy - it's a very limited edition (only 480 bottles have been made) Russian Imperial Stout and are the first ever bottles sold at Tru Bru. It ought to be amazing! First up this month I went with an IPA that I knew would be great: Sixpoint's Spice of Life - Citra. The Spice of Life range is much like BrewDog's IPA is Dead series. Each month Sixpoint release a new single hop IPA and Citra being one of my favourite hops I had high hopes for. It certainly didn't let me down! It's got that wonderful citrus characteristics that have made this hop so popular. Second up was a rare one from Kooinda; Hop Transfusion. This one has been around the traps a bit recently, popping up in kegs at some of Melbourne's best craft beer bars, This beer has a strong malt body with strong piney hop presence. It's one I would bother to seek out again. Sierra Nevada's Southern Hemisphere Fresh Hop was next up. The hops used in this beer are picked, dried and shipped from New Zealand within 7 days. It's a nice IPA packed with floral and tropical hop flavours. The beer is quite bitter without quite being bitingly so. Hey Juniper is the latest offering from Melbourne Gypsy brewer Killer Sprocket. Currently these guys are based at Cavalier, a real hub for those attempting to break into the industry. It's ostensibly an American Pale Ale with Juniper Berries (known best for their use in Gin) to add additional pine bitterness. I didn't pick up a heap of Juniper, but I did get plenty of pine bitterness. It was very crisp and bitter though and was actually quite good. I'd have it again. Riverside Brewing is located in Western Sydney. It's a brewery that highly sort after down here as they make excellent beers that rarely make it down here. I have heard that recently they've started bottling so hopefully some makes it down this way soon. For the mean time I'd be perfectly happy if Anton brought a keg of 777 into Tru Bru every week, it's an amazing Imperial IPA! I'd put it on par with Feral's Tusk as Australia's best. Beer 6 in this month's Bear Club was Mikkeller's Show Me Cuvee. 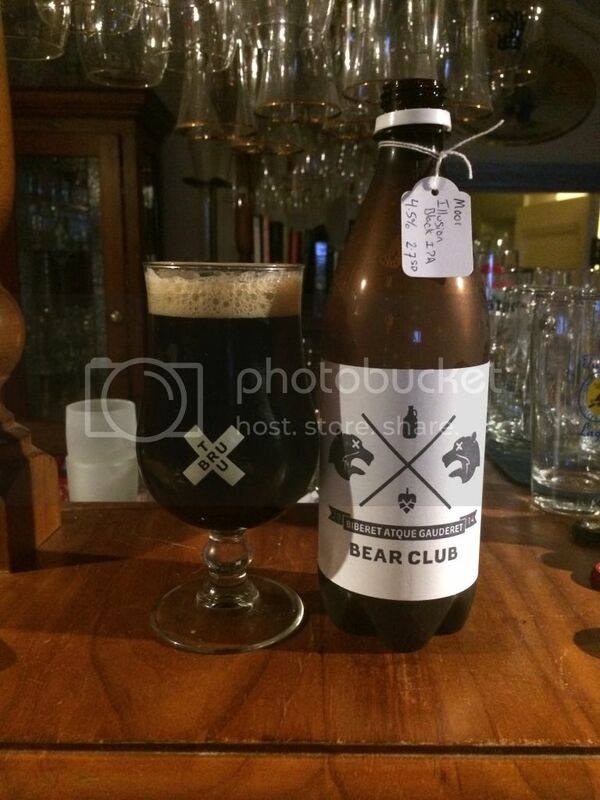 Ostensibly a Wild Ale, Mikkeller's first appearance in the Bear Club was a bit of a let down. It had a sweet overall feel with only a touch of sour at the end. It was quite dark in appearance for a Wild Ale and the ABV was also high. An interesting experiment but the dark fruits, sweetness and spices didn't quite do it for me. Much like the previous beer Palm's Hop Select was not as amazing as some of the beers we've come to expect from the Bear Club. I'm not sure if it's this beers fault specifically or just that I don't really like Belgian Pale Ales in general. Anyway it was quite a refreshing beer on one of our first hot days of Summer, but there wasn't enough of either hops or malt to make it a really interesting beer. 7 Cent is a brewery I've heard a lot about but can't remember ever sampling one of their beers before. B4 is their Belgian Dark Strong Ale and is one of their core range beers. I have to say that I'm very impressed with this offering. The dark fruit flavours were excellent and although warm with booziness it wasn't overdone. This is a beer that I could honestly drink all the time! 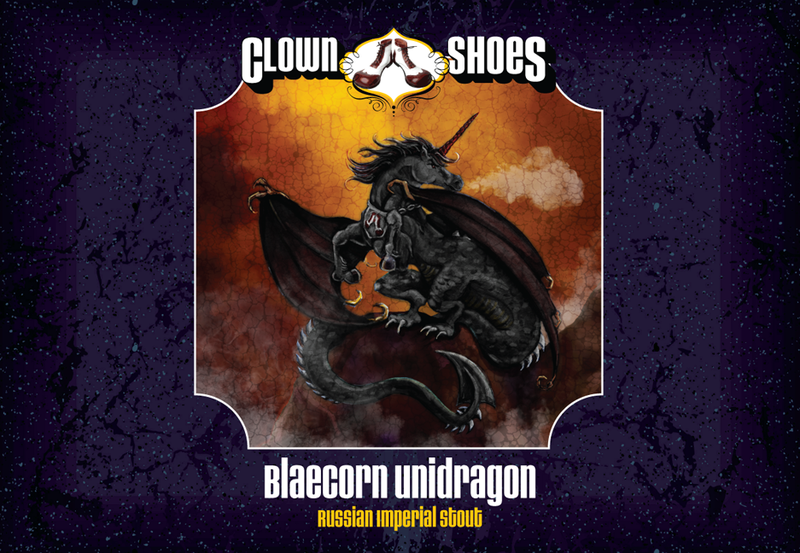 The first of the two stouts in this months Bear Club pack was from Clown Shoes in the United States. These guys make awesome beers, normally with awesome labels (see above). This is a huge Russian Imperial Stout, clocks in at 12.5% and tastes pretty damn spectacular. It's got plenty of roast characteristics and even some hop bitterness (grapefruit?) with no sweetness present at all. Boatrocker's Tripel was the penultimate beer for me in this months pack. I have no idea how it slipped through this far, it was simply superb! It was sweet, it was fruity, it was floral, it is Australia's best Tripel! There was a really good mix of spices - particularly cloves - honey and fruitiness. Interestingly there's also no hint of 9.6%. I am so glad I've got another 4 bottles of this in the fridge, it'll be good to see how the bottle compares to the tap version. Finally we had the first bottle of beer ever sold at Tru Bru; 7 Cent's Big'n Beardy! I have nothing but good things to say about this beer, it's spectacular! It's got aggressive coffee flavours at first, while in the background there is dark chocolate, dark fruits (plums I think) and nut flavours. At first I thought it was a little hot with alcohol but it mellowed nicely through drinking and I think alot of the booziness comes through from the barrels this was aged it. Full review to follow, right here on Beer O'Clock Australia.